"It's a 100 foot, we measured!" Hello people! Surprise surprise with a midnight review (my mother will not be pleased to see this!) but I really cannot shut up about the movie I just caught at the Churpremiere by Churp Churp. So if you didn't know, I absolutely love food. 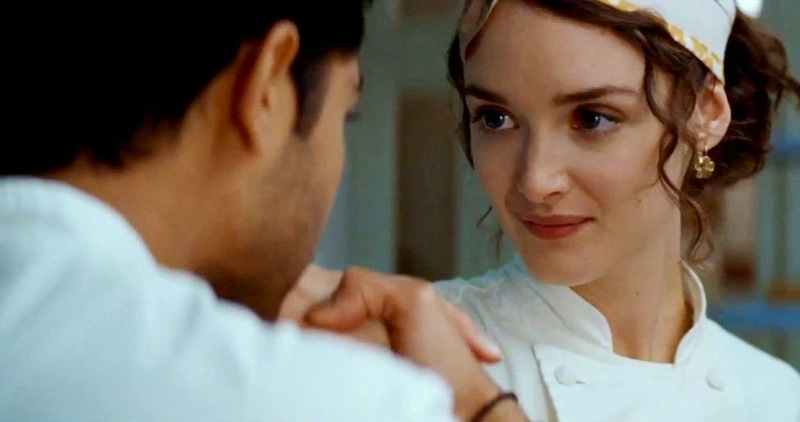 And when it comes to such fine culinary, I love watching it being prepared just as much as eating it which is why the invites to catch The Hundred-Foot Journey was pretty important to me. I needed to get fat watch it! And I got vouchers to a cooking demo by Le Cordon Bleu! 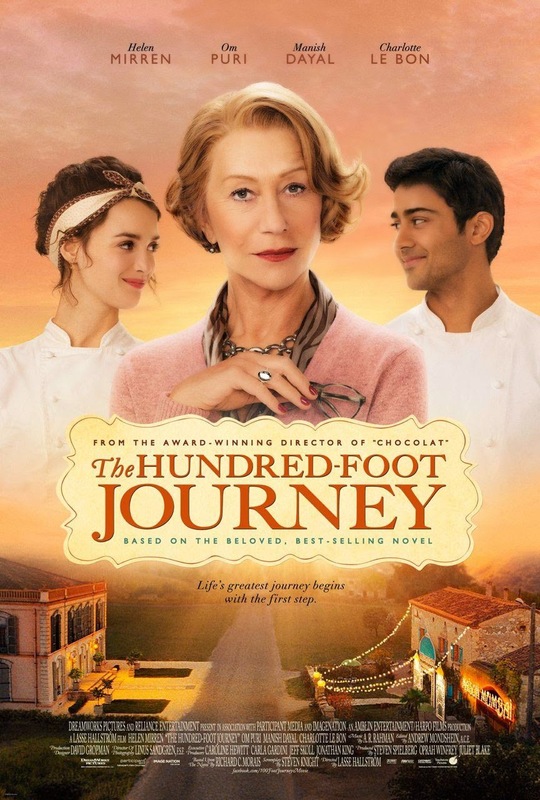 Based on a novel by Richard C. Morais, The Hundred-Foot Journey captures the essence of the Kadam family as they shift from Mumbai to London before setting off to Europe in search of a better place for living. As a family who once owned a restaurant before it was burned down by mobs where they lost their mother (and Papa's wife), it seemed only natural for the Kadam's to re-open a restaurant where they saw fit and as the brakes would see it, the place had to be in France; the land of good food. Nothing of course, comes easy when the spot that Papa sets his eyes on is directly opposite a renowned French restaurant with a single Michelin star and a little war ensues in this East meets West matter. The verdict of this 2 hour movie? I loved it. I loved every moment of it right from the beginning till the very end. It was hilarious, it was delicious and it was down right heart warming. There were so much food, so much music and so much laughter to go with the entire movie, I would actually pay to re-watch this when it comes out on the 28th of August on the big screens. Yes, if you didn't realize by now, Churpremiere is a premiere screening so I caught all this action beforehand and I'm here to tell you that you absolutely HAVE to watch this. Before anyone thinks I am racist, that's a line from the movie. 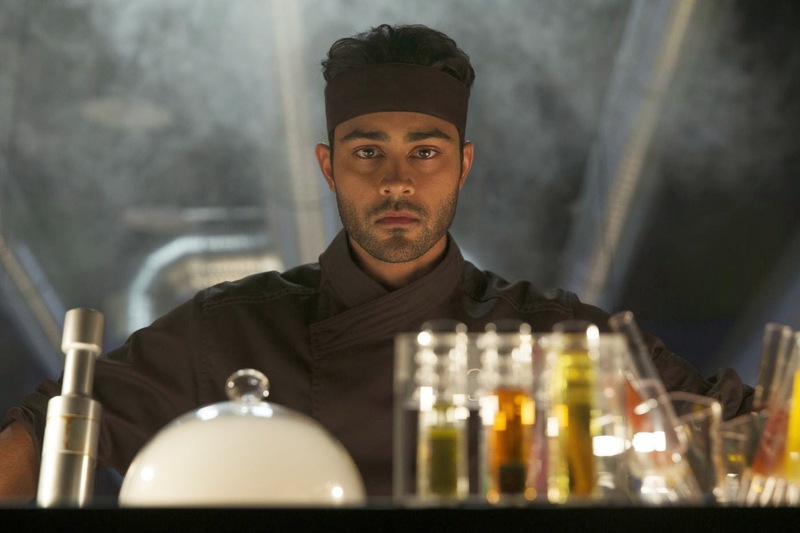 Manish Dayal plays Hassan Kadam, the young chef with a palate fit to cook for a king and is torn between keeping up to his roots of Indian cuisine or venture into the classy dishing of fine French food. Not surprisingly, this is my first time watching Dayal on-screen but I thought he played Hassan Kadam just fine. His innocent looks and determined expression with a tinge of softness alongside pangs of guilt and reminiscence falls perfectly in place whenever needed and I don't quite think anyone could do a better job as Hassan Kadam than Dayal already did. On the plus side, he is also kind of cute. "Têtu comme un bœuf; stubborn as an ox." 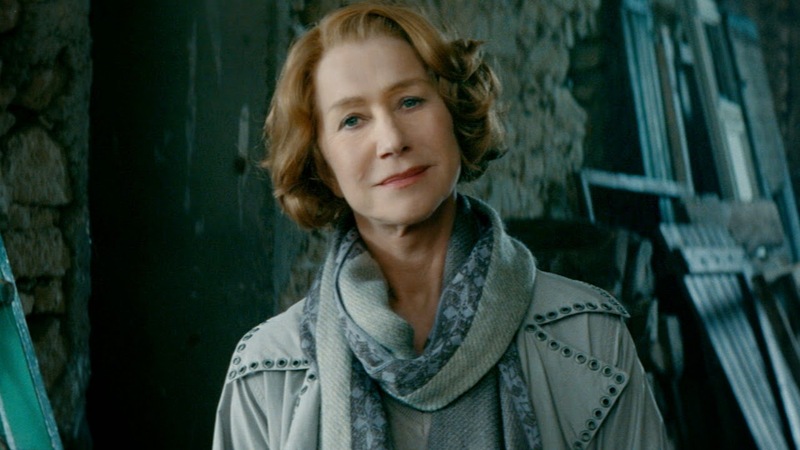 I could have sworn to recognize Madam Mallory's voice throughout the entire movie and I was right because Helen Mirren was also Dean Hardscrabble from Monsters University! Portraying the cold, calm and collected Madam Mallory, Mirren absolutely puts a different kind of class to her act and I would actually say the only other few actresses who can do the same is Julie Andrews and possibly Dame Maggie Smith. I loved how she was first just distant but warmed up all the same to the Kadam family, displaying a true spirit of how a classy woman can be even if she had to go out of her own way to deal with the extraordinary. Overall, not too bad! You want to know who made this entire movie a success? 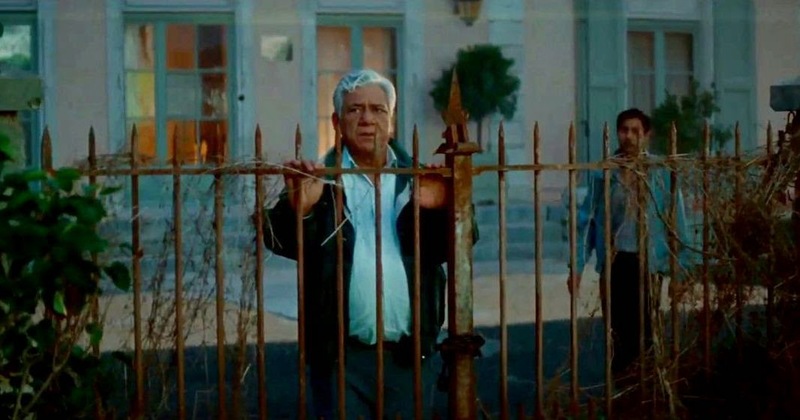 Om Puri as Papa Kadam, that's who. 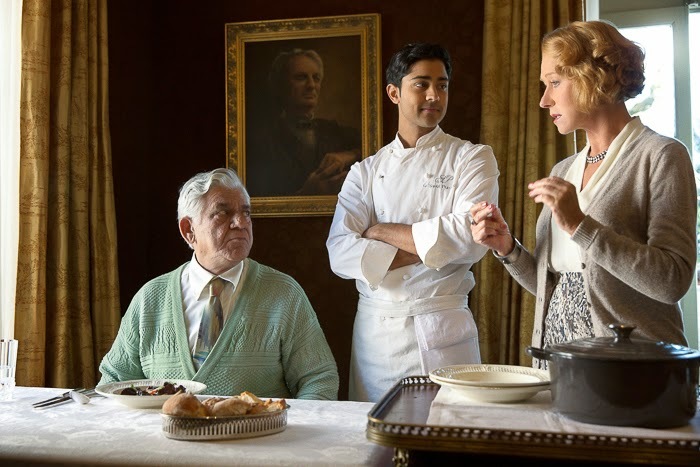 I've never watched Om Puri act and that's no shocker because he has mostly been in the Indian movie scene but in The Hundred-Foot Journey, he was just perfect. Injecting hilarious moments and momentary sadness, Puri as Papa Kadam is probably the best pick with no one else doing it as well as he can. His short conversations in Tamil makes you remember that even if you're abroad, there is nothing wrong with going back to your roots where you began and no shame should be felt over it. Seriously, I loved watching Papa Kadam just as much as I enjoyed seeing Hassan cook. Three Michelin stars for Om Puri! "You must find them in your heart. Then, bring them to your pots." May I just say that Charlotte Le Bon has one of the prettiest pair of eyes, ever? Seriously, they are big and round in such a way that it just compliments her smile and every other gesture. Playing Marguerite, a sous chef in the restaurant run by Madam Mallory, she appears to be one of the kindest and most helpful ladies around. I wouldn't have done half of what she has done and her natural display of jealousy towards Hassan felt so real, I almost wanted to scream as the movie went on. I was desperate to tell her that she's good but someone else may just be better but that just means she's done a great job at her act, right? And man, those eyes! "Three is only for the Gods." And where does that leave us? Ah yes, my final say. 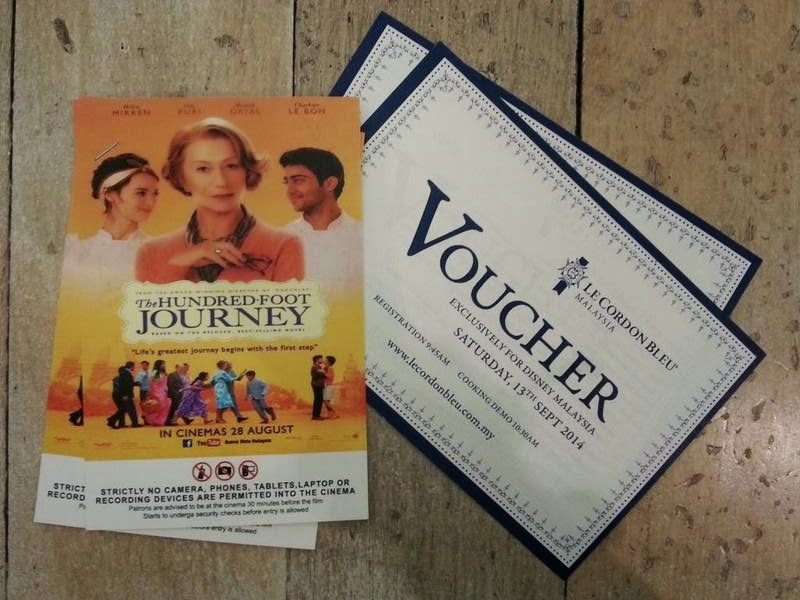 Book your tickets, bring some food and enjoy the movie. It's way better than whatever you could possibly think of watching (Especially if you're thinking of watching Lucy, please for the love of God, don't do it.) and is going to be worth your every cent. Hunger as you exit the cinema is at your own risk. On a personal scale, I'm propelling it to a whooping 9/10 for its hilarious measures, saliva worthy food shots and the warm message that you should go ahead to discover by yourself in the movie. After all, cooking is a passionate affair when you discover that life's greatest journey begins with the first step!